In the summer of 1030 the Norwegian Viking Olav Haraldsson stepped ashore at Selånger on the Swedish east coast, after having lived as an exile in Russia. His goal: to become king of Norway and create unity in the country by converting the people to the Christian faith. Olav had come into contact with Christianity during his travels through Europe and was baptized in Normandy, France. From Selånger Olav travelled on foot and horseback to the west, towards Stiklestad, a place about one hundred kilometres north of the Norwegian city of Trondheim. Olav and his entourage travelled through Ljungans valley, along Lake Revsund in the direction Frösön. From there they went on through the mountainous area to Duved, along the Skalstugeväg, crossing the border with Norway. On July 29, 1030, the Battle of Stiklestad took place, where Olav was slain. His body was transported to Nidaros (Trondheim) in secret. Before long, strange events started occurring. A solar eclipse soon after the battle of Stiklestad suggested the wrath of heaven. There were rumours of miraculous healings. The summer after his death Olav’s body was reburied and the Nidaros Cathedral was built in his honour. The Viking Olav Haraldsson became Saint Olav. In a short time the Nidaros Cathedral became one of the world’s most important places of pilgrimage for Catholics, similar to Jerusalem, Rome and Santiago de Compostela. Every year thousands of pilgrims walked from all over Europe to Trondheim. 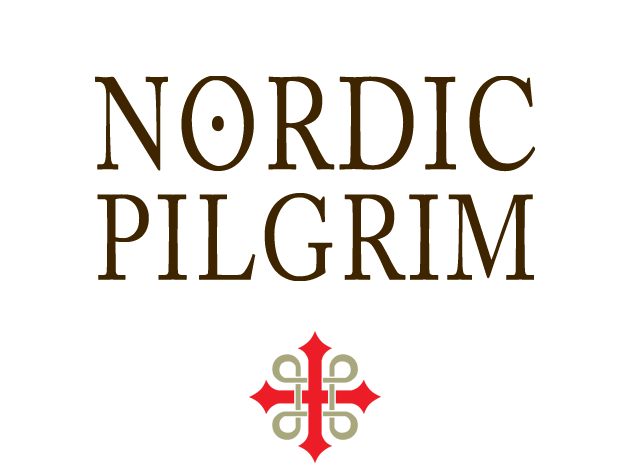 When in the sixteenth century the Reformation came to Scandinavia and pilgrimages were banned, the various pilgrimage routes leading to Trondheim were closed. After five hundred years of oblivion, was the 564 kilometre-long St. Olavleden* was reopened in 2013, with a special service in the Nideros Cathedral. Hikers can once more experience this wonderful route and follow in the footsteps of Olav Haraldsson – as an adventurous holiday, an inner journey or a true pilgrimage. More information about the route can be found on the official website of St. Olavleden, www.stolavsleden.com, and on Facebook. * ‘Led’ means ‘road, path’ in Swedish and Norwegian.